“How to have an outstanding career” helps Young Professionals deal with the greatest challenge they face in today’s crazy, volatile world of work – how to establish and create a long-term resilient and successful career. The best selling book, How To Have An Outstanding Career’ provides a clear and comprehensive blueprint for success, based on career resilience and is aimed directly at professionals between the ages of 21 to 32. Packed full of valuable ideas, tools and techniques, this book guides Young Professionals to develop their own resilient career plan and propel themselves towards an outstanding career and lasting success. This is the book to go to if you are ambitious, looking for ways to develop a resilient career, feeling lost and in need of some guidance or are bored and frustrated with your current job. How To Have An Outstanding Career redefines what a career is in the context of millenials and post-millenials. This unique new perspective encourages the reader to consider their own career as a climbing frame rather than the traditional ladder. Susan’s work tackles the concept of maintaining a healthy balanced lifestyle whilst developing an oustanding career – tricky but not impossible in today’s crazy world of work. The author calls this ‘career resilience’ and it encapsulates many aspects of developing an outstanding career including the mental, physical, emotional and social elements. This is a ‘how to’ book filled with practical exercises that allow the reader to fully explore their career in the here and now, along with future potential, and to develop a realistic action plan. The focus is not simply on what you should do, but how you go about doing it. How To Have An Outstanding Career will help current high achievers, as well as those who feel they have so much more to offer (but perhaps it isn’t quite happening) to reach their career goals, but not at the expense of their life and wellbeing. 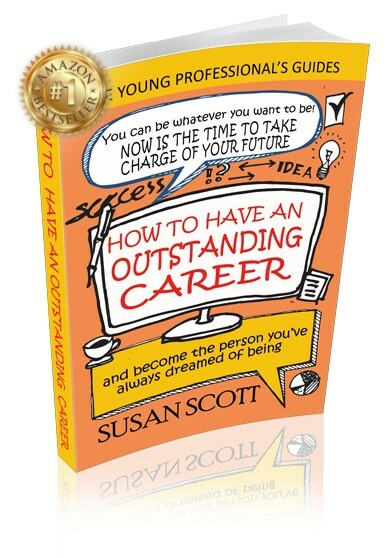 Susan Scott’s book provides tips and techniques to realise your potential and take charge of your career, to raise your game and build your reputation whilst growing your capacity to cope with everything life throws at you.